Women Painting Women, Portraits of Women, Ephermeral 36x24 oil on linen canvas. 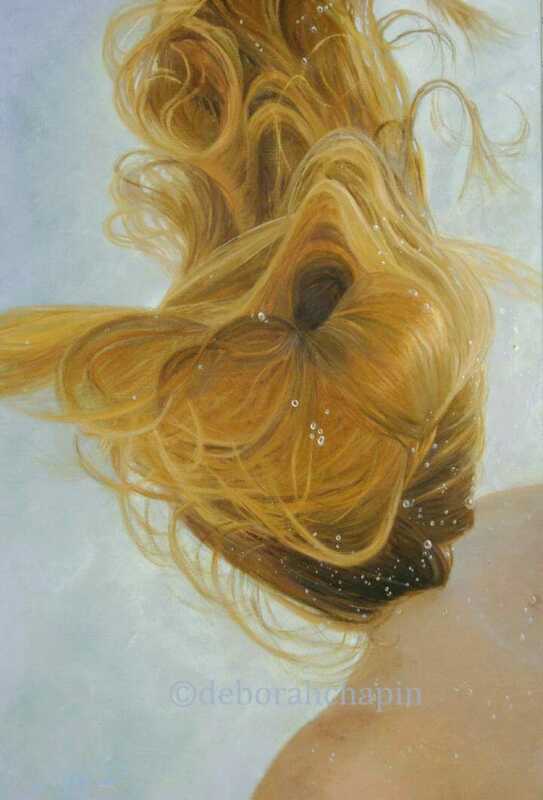 This Portrait of Hair depicts that Life is Ephemeral, fleet moments of light and color and beauty. Finding these things to appreciate in life as we pass along the journey is what makes the journey special. It is probably why I love gardening, as a constant reminder that while the rose blooms to enjoy the perfume, the color the delicate nuance of it all. Seizing the opportunity to see and capture these serendipitous moments is the artist's vocation. I always try the impossible and sometimes the impossible works but I also look for serendipity to create the unique moments I love to paint.